From time to time we ‘rediscover’ items in our collections. It’s not that we didn’t know we had them; rather that they have not come to anyone’s specific attention within the many, many items we hold. This is certainly the case with the earliest class list we hold for anatomy students. It has a comprehensive name index, which is usually what people refer to, seldom asking to see the item itself. However, when double checking some catalogue references, it was necessary to have a quick look at the original item. It revealed itself to be far more significant than the index recorded. It is a volume of principally students’ names and those they were studying under, beginning in 1720, when Alexander Monro primus began giving classes in anatomy in autumn 1720. Monro had just been appointed Professor of Anatomy. Although the official establishment of the Faculty of Medicine was still six years away, many view the appointment of Monro as the clear starting point. Monro was educated at the Universities of Edinburgh and Leiden and learned anatomy under Frederik Ruysch in Amsterdam. 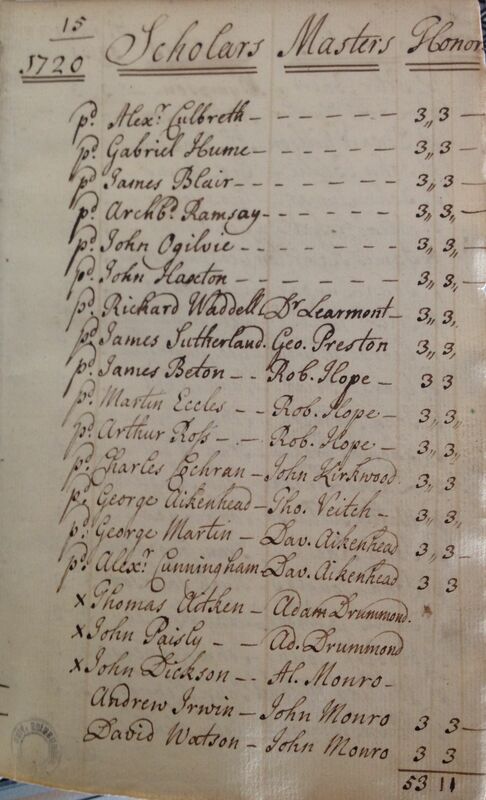 He returned to Edinburgh in 1719 and passed the examinations for admission to the Incorporation of Surgeons. The Professorship of Anatomy had been established by Edinburgh Town Council in 1705 but for Monro, unlike his predecessors, his appointment was clearly defined as a university chair. Students were apprenticed to masters (surgeons), often boarding with them as well. Teaching was conducted at Surgeons Hall and not within the precincts of the University until 1725, the move at least partly fuelled by public rioting over accusations of grave robbing. A random check of names in the volume has as yet failed to yield a match with actual medical graduates, though names of identifiable surgeons and physicians are present, illustrating the fact that the formality of a degree was not mandatory to practice medicine. The volume was donated to the University Library in 1924 by James Watt, LL.D., W.S., F.F.A., F.R.S.E (1863-1945). He lived in Craiglockart House, which was built for Monro’s son, Alexander Monro secundus (1733-1817). The volume was found by Watt inn the cistern room of the house. 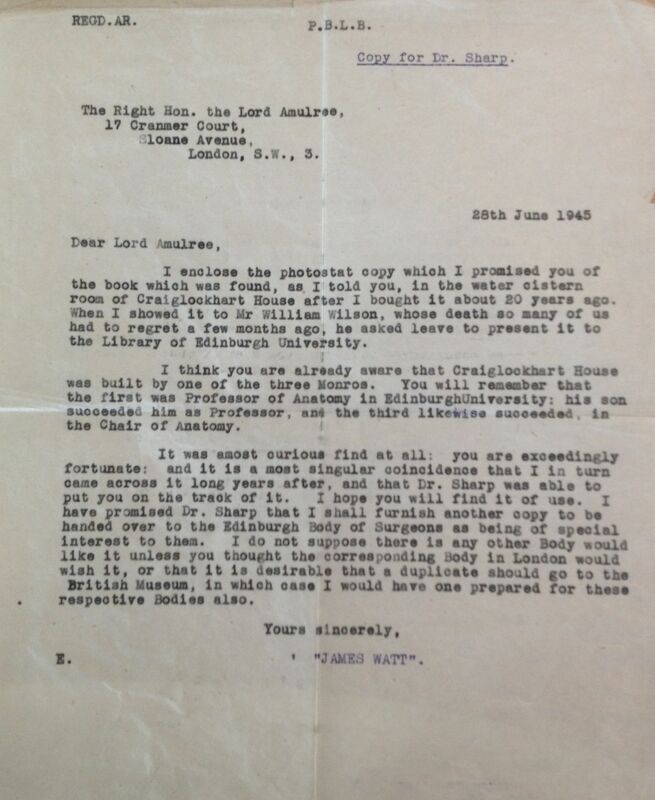 Fortunately, he was able to recognise its significance and pass it on to the then University Librarian, L. W. Sharp. Copy of letter from James Watt to Lord Amulree, 1945, sent to Lauriston William Sharp, University Librarian. 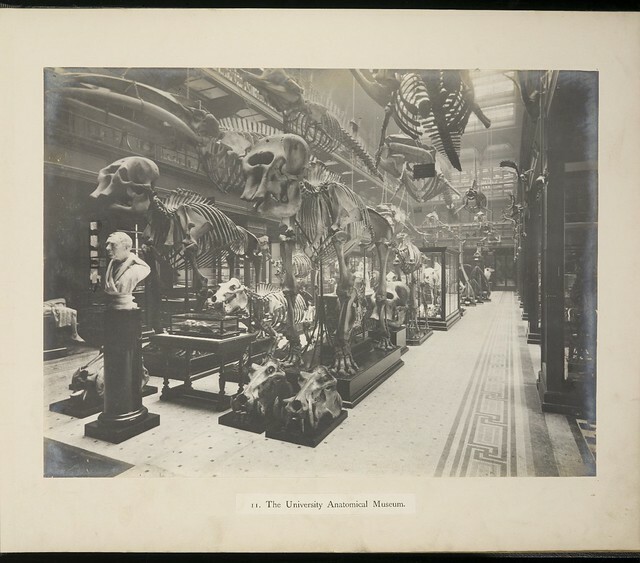 This entry was posted in Collections and tagged Alexander Monro primus (1697-1767), alumni, anatomy, archives, staff, students on 30/01/2015 by Grant Buttars.